Fix missing, outdated or mismatched drivers! Update all your missing drivers with just 1 click! 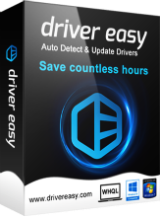 Driver Easy helps to fix all driver problems of your computer instantly.